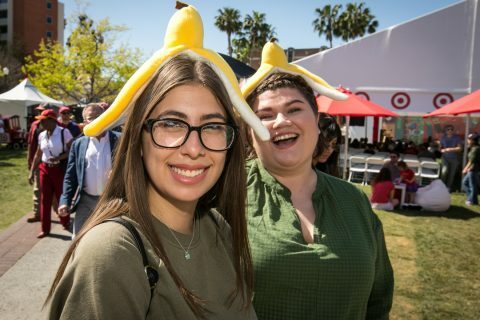 Friends Emily Ellis and Tiffany Renfrow knew one way to stand out from the crowd at the Los Angeles Times Festival of Books at USC: banana hats. The handmade hats were an ode to the banana peel-wearing protagonist of the children’s book Rumple Buttercup, about a monster who lives in a drain and struggles to fit in. The two were among dozens who waited for hours for a signing with author Matthew Gray Gubler, who is also an actor and director on the CBS show Criminal Minds. “It’s really nice he’s trying to teach children who read the book that it’s OK to be weird and different,” said Ellis, 21, of Fontana. It was Renfrow’s first time at the festival, now in its 24th year. 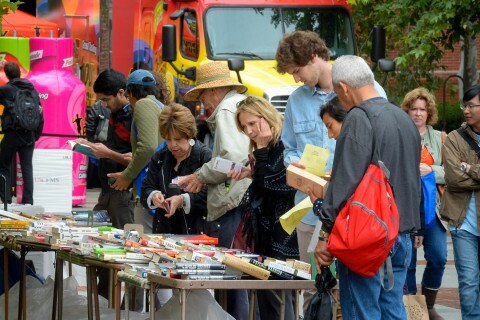 In its ninth year at USC’s University Park Campus, the festival attracts more than 150,000 people from all over the country, making it the largest literary event of its kind in the U.S. 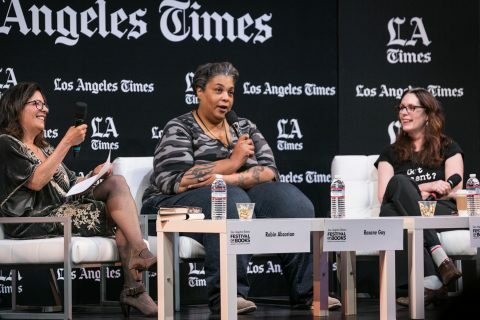 This year’s festival, which runs through Sunday, April 14, includes authors, media personalities and celebrities such as Bad Feminist author Roxane Gay, crime writer Walter Mosley and Queer Eye star Karamo Brown. There are also performances, circus troupe Le Petit Cirque doing acrobatics and baker Margarita Manzke showing some recipes from her L.A. restaurant Republique. Hundreds filled USC’s Town and Gown ballroom to hear New Yorker writer and author Susan Orlean talk about her latest book The Library Book; it tells the story of the devastating 1986 fire within the downtown Los Angeles Central Library, which burned roughly 400,000 books and shut down the facility for seven years. She told the crowd of over 300 that she never intended to write another book after writing Rin Tin Tin: The Life and Legend until a tour of the central branch. 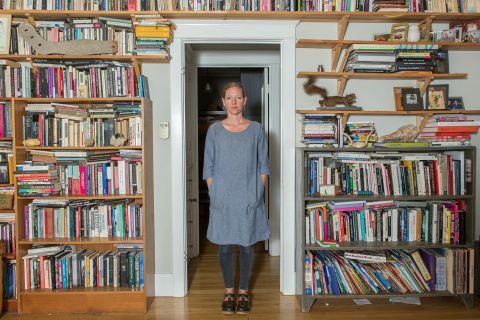 The book is part whodunnit true crime, trying to piece together the alleged arson, part profile of the library as an institution and part feminist history. 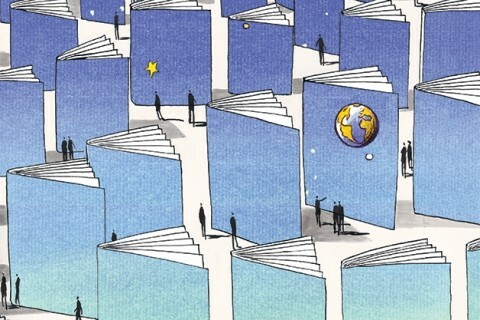 Likely unknown to many, there was “the great library war” as the 19th century was drawing to a close. 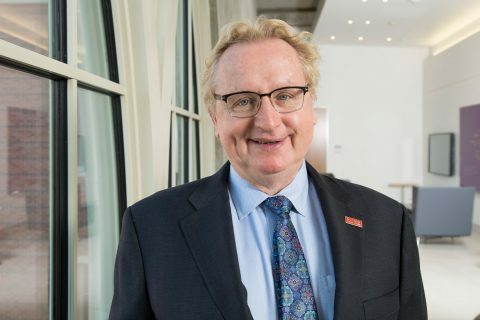 Mary Jones, the head of the L.A. library, was asked to resign, with library commissioners contending a man would be better suited to the job. It sparked a protest, with thousands of women marching in the streets of Los Angeles, including activist Susan B. Anthony. 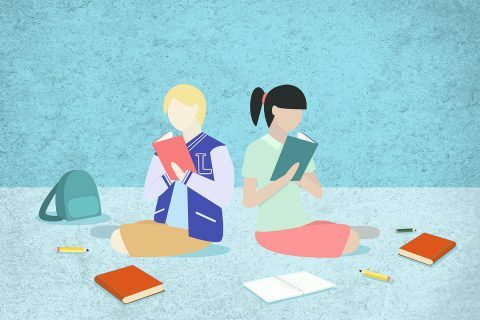 The book emphasizes how important libraries are to communities, including Los Angeles, which a lot of readers in the audience identified with. 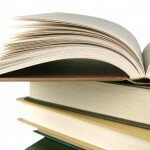 Sarah Ochoa, of Azusa, liked one passage in particular. “She’s watching Central Library pack up books to be routed to other libraries and she has a passage where the books are like the lifeblood of the city because they’re going through the arteries [that are] the freeways,” said Ochoa, the first in line to have her book signed by Orlean. The ethos of the festival was all about celebrating Los Angeles as a book town. 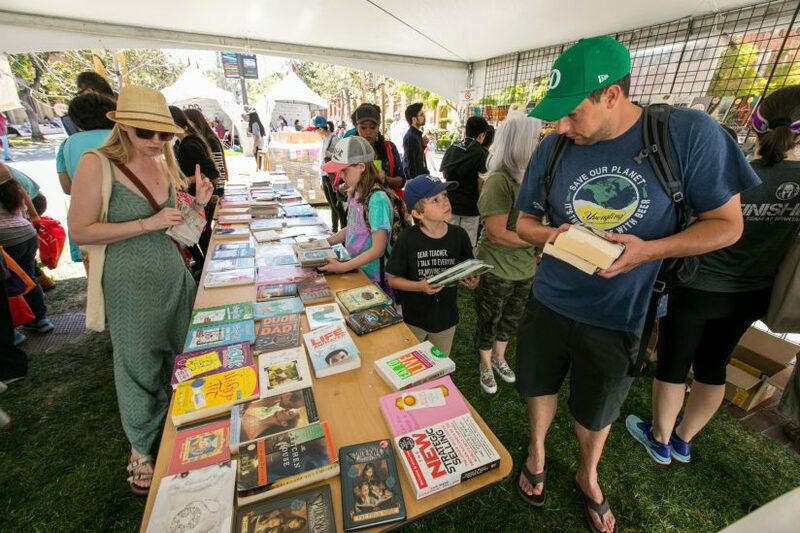 Complete information about the festival, including a schedule of the lineup, is available on the Festival of Books’ website.